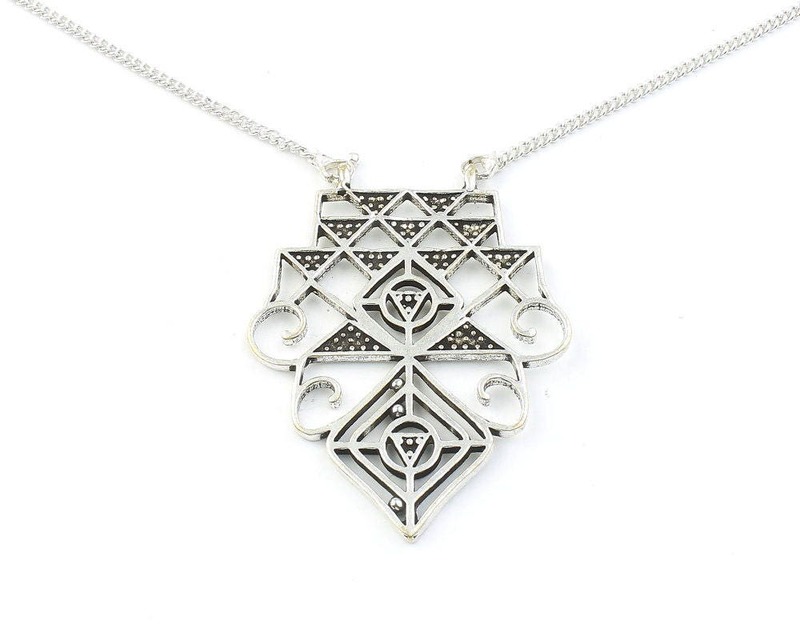 Beautifully detailed geometric pendant with connecting chain. 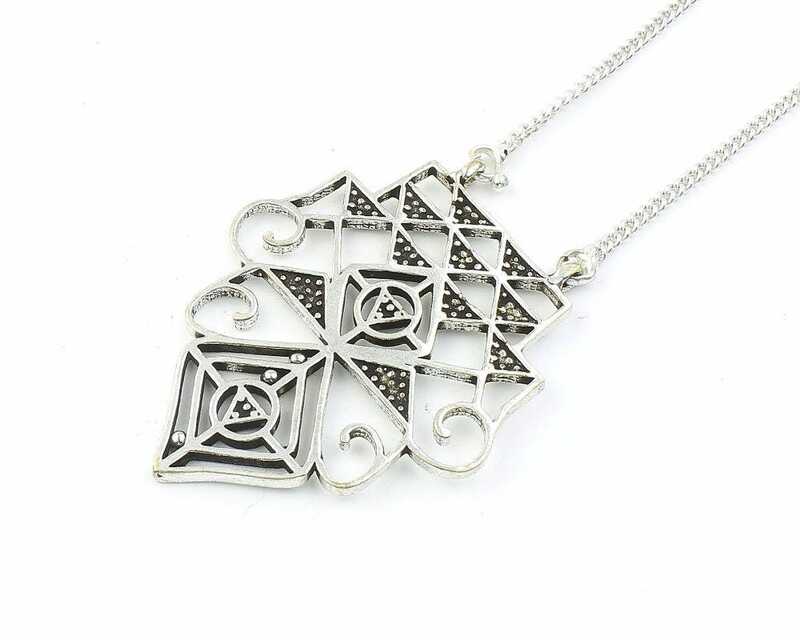 Total length of necklace with chain is 12 inches. Attached 20 inch link chain with hook closure.